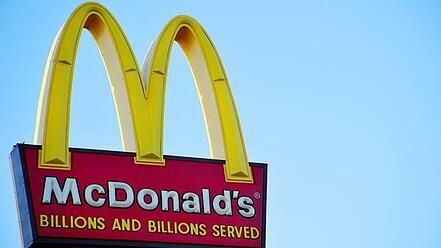 New McDonald's Ad Campaign Features Suppliers. 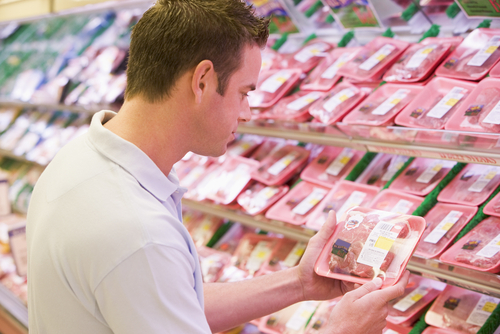 In our last blog, we looked at attitudes toward food traceability among Americans and Europeans. We concluded that all consumers want reassurances their food is produced in a safe and humane manner. This week, McDonald’s addresses these concerns with a new advertising campaign focusing on beef and produce suppliers. One supplier is Steve Foglesong, owner of Black Gold Ranch, a cow-calf, stocker and feedlot operation in central Illinois, who talks about his ranch’s commitment to quality and sustainability. The McDonald's campaign also features potato and lettuce growers. You can see all the suppliers at www.mcdonalds.com/suppliers. Providers like Black Gold Ranch are secondary sources for McDonald’s. According to Advertising Age, the company works directly with 250 suppliers, including Cargill, Lopez Foods and Golden State Foods. In November, McDonald’s dropped a Cargill egg supplier, Sparboe Farms, following a Mercy For Animals undercover video depicting animal mistreatment. Sparboe has since conducted its own investigation, fired the employees involved and retrained workers in animal handling techniques. What do you think of the new McDonald’s campaign? Americans vs. Europeans: Who's More Willing To Pay For Traceability? Two relatively recent studies expose some striking similarities and differences between Americans and Europeans when it comes to food traceability. Clearly, consumers on both sides of the Atlantic take food safety and animal welfare seriously. One group, however, is much more willing to pay more for “traceability assurances”, while the other tends to take such assurances for granted. But this might not be the case for long. Researchers from the University of Naples and the University of Massachusetts analyzed the results of several studies evaluating the willingness of European consumers to pay more for various food attributes. They found that Europeans were willing to pay 22 percent more, on average, for “food safety”, 17 percent more for “on-farm traceability” and 14 percent more for “animal welfare.” The authors hypothesized that Europeans are willing to pay more for meat-traceable attributes than North Americans, and cited the recent European trend of banning products containing growth hormones and genetically modified organisms. Based on these studies, researchers recommend the beef industry align with consumer values by emphasizing “traditional” beef, with its legacy of assured safety and quality, produced by hard-working farm families. They also call for greater transparency in the production process, which undoubtedly includes management practices such as dehorning. From a welfare perspective, early-age disbudding with caustic paste is clearly the least invasive, least painful and most humane method of horn removal. The United States appears to be slowly aligning with European consumers who are not only demanding more transparency in the food animal system, but are increasingly willing to pay for it. Studies like these illustrate the growing need for beef and dairy producers to live up to consumer expectations of quality and safety while reassuring them these expectations are met in a humane manner.